Get Rid of Cellulite with Cellublue | Review + Giveaway! There are those topics most people shy away from discussing, one of them being cellullite. 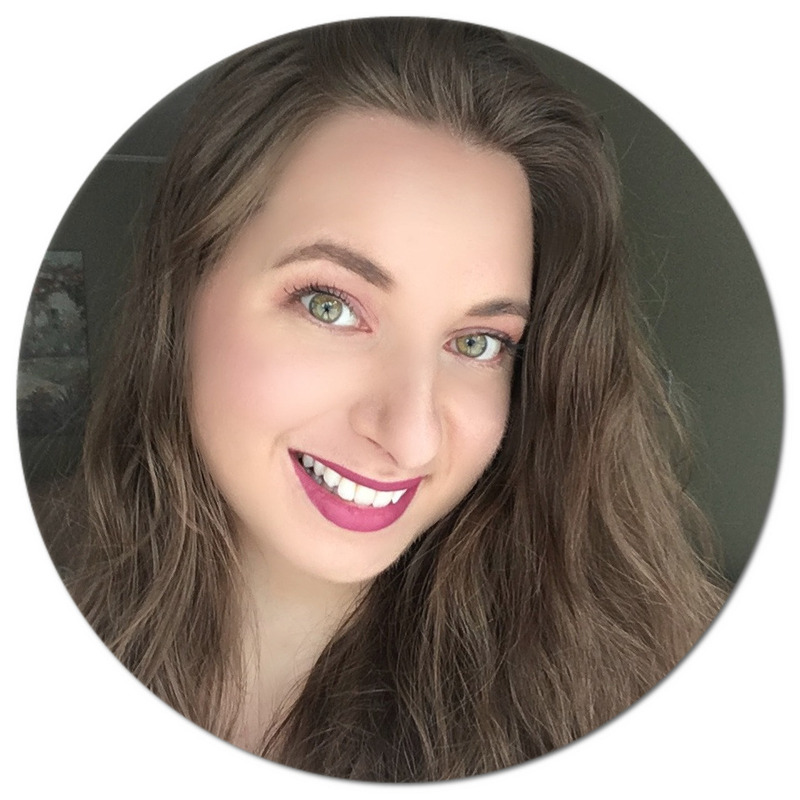 Many products are marketed to treat this skin condition, such as devices, creams, miracle pills (and I'm probably leaving some out) by claiming to reduce the appearance, or even cure, cellulite, and I've always been skeptical to try them out. Truth is, it takes time to notice a difference with such products (and that's if they even work), and a healthy diet along with daily exercise is always recommended, so patience is definitely key. I've recently been introduced to Cellublue*, an easy, fuss-free blue cup that promises to diminish the appearance of cellulite naturally. I was really intrigued by how it worked, so I thought I would share a little bit more information on this handy cup. If you would like to win a Cellublue for yourself, keep reading as I will be giving one away to one lucky reader! What's really cool about Cellublue is that it uses a suction motion, which you create yourself, as to imitate the "palpate-roll" technique used in massotherapy. So you are the one who basically makes it work. This means no need for a pricey appointment or even any form of energy, just an easy back and forth motion. 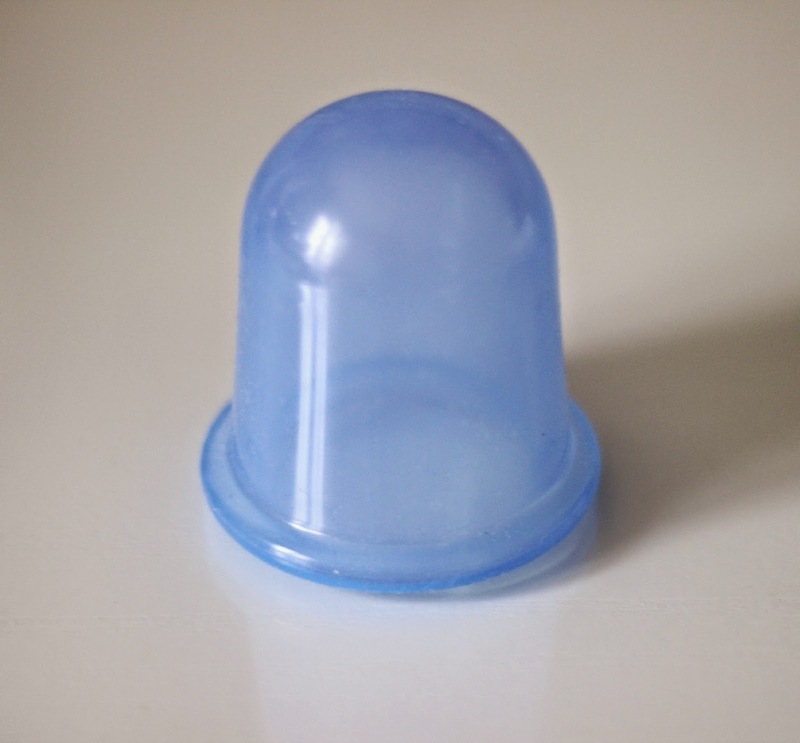 Made with medical grade silicone, it's safe to use in the comfort of your own home. It basically works to improve the skin's elasticity and gradually smoothes out the unwelcome fat cells with time. Cellublue shoud be used in a few easy steps, which I will share with you below. Cellublue should never be used on dry skin, but instead paired with a body massaging oil. I've been using my trusty coconut oil, and it's been working great for me. My problem area is my hips, so that is where I have mainly been using this cup, although for easy photography purposes I am demonstrating on the back of my leg. 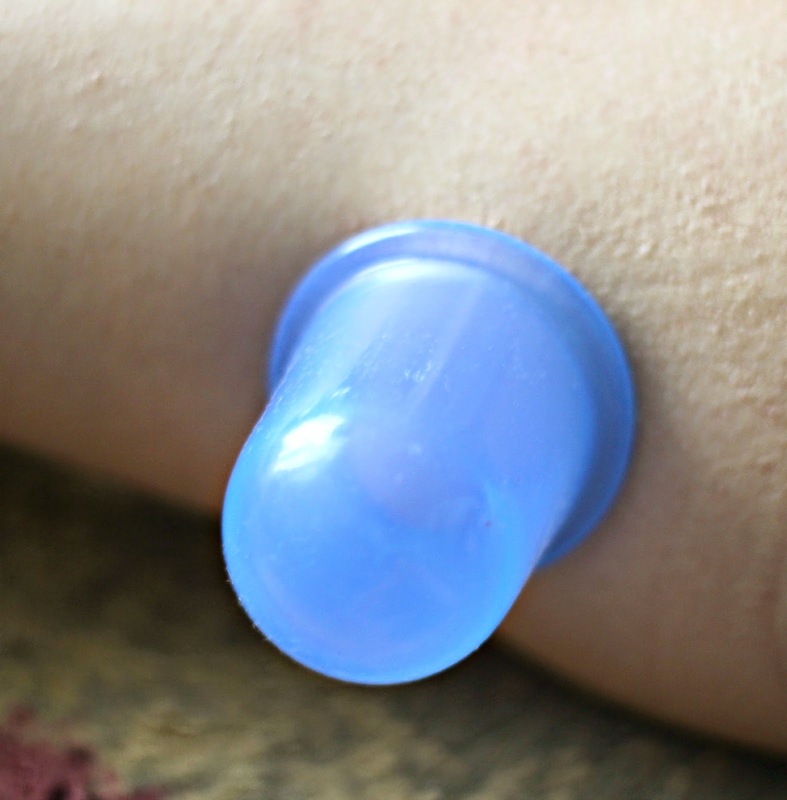 To create a suction motion, you first place the Cellublue on the desired area by first pressing both your thumb and index fingers firmly on either side of the cup, without releasing. Once the cup is in contact with your skin, you can gently release your fingers and you will see your skin getting sucked inside the Cellublue. The first time I did this I was shocked at how well this worked - my skin formed what looked like a huge bump inside the cup (the best way I can describe it!). The cup is beyond easy to use, and just in case you were wondering, it is 100% pain-free. What's also neat is that you can play with the level of suction by lifting the cup slightly to release some air. You really are in full control. Once first application is down, you will need to move the cup from bottom to top of the area you are working on for 3 minutes, and then from left to right for one minute. Finally, you go in a circular motion for another minute, always going upward, from bottom to top. You can also press down firmly on your Cellublue once it is on your skin without releasing to get rid of even more cellulite. As you can see, each area you work on requires about 5 minutes of massaging, although you can use it for a bit longer or shorter depending on the area you are working on or the severity of your cellulite. Notice my raised skin inside the cup? It is recommended to drink two cups of water in the hour following your massage session to help detoxify and get rid of the dislodged fats. You can easily clean out the cup after each use with a bit of soap and water. I've been using the Cellublue for the last month and have already noticed a significant improvement in the texture of my skin. I will keep using it in hopes that it will provide me with even greater results. 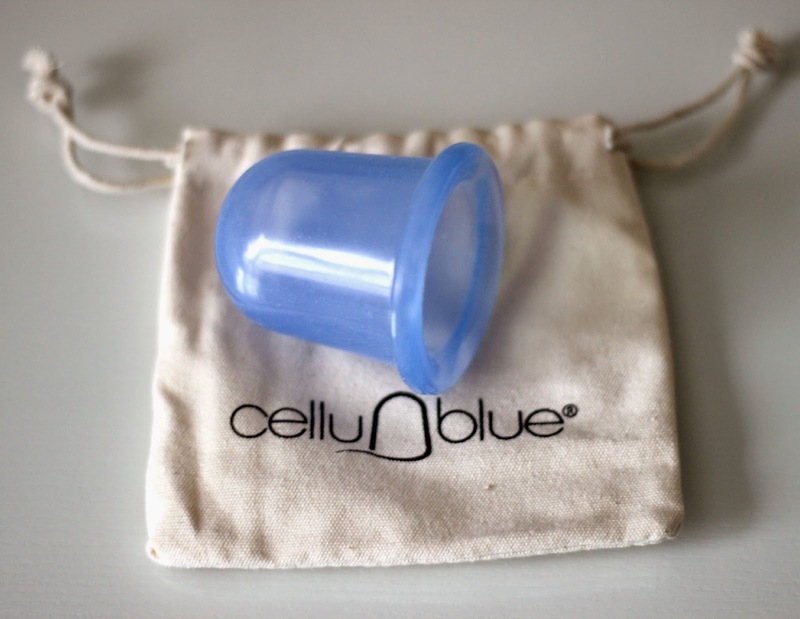 If you'd be interested in giving the Cellublue cup a try, you can check out their website. The company is based in France and ships internationally, with the cup retailing for €18.90, however you can save €4 by using promotional code NATALIEBEAUTY at checkout (valid until 03/31/2015). And now for the giveaway! It is open worldwide, and all you have to do is fill out the box below. The more entries you complete, the higher your chances of winning. I've never tried Anti-Cellulite Cup, but I would love to. I have cellulite and this product/method is fascinating! I wonder if it could help me! Thanks for giveaway, i want to try it to get rid from cellulite. That sounds really cool. I've got to try one. I really want to try Anti-Cellulite Cup!